Out! 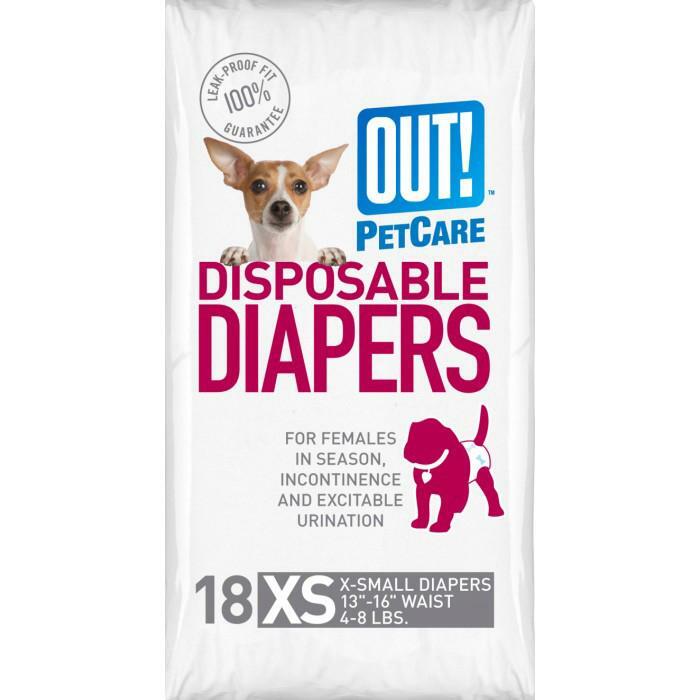 Petcare - DISPOSABLE FASHION DIAPER Xsmall 18pk - 220_DOG WASTE PRODUCTS, Diapers and Wraps, Disposable Diapers - Product Detail - Prestige Pet Products Pty. Ltd.
For Females In Season, Incontinence and Excitable Urination. The size is X-Small and these are for toy breeds & puppies. Preferable weight is between 2-4kg and waist should be 33-40cm. Has repositionable tabs for a secure and comfortable, leak free fit.